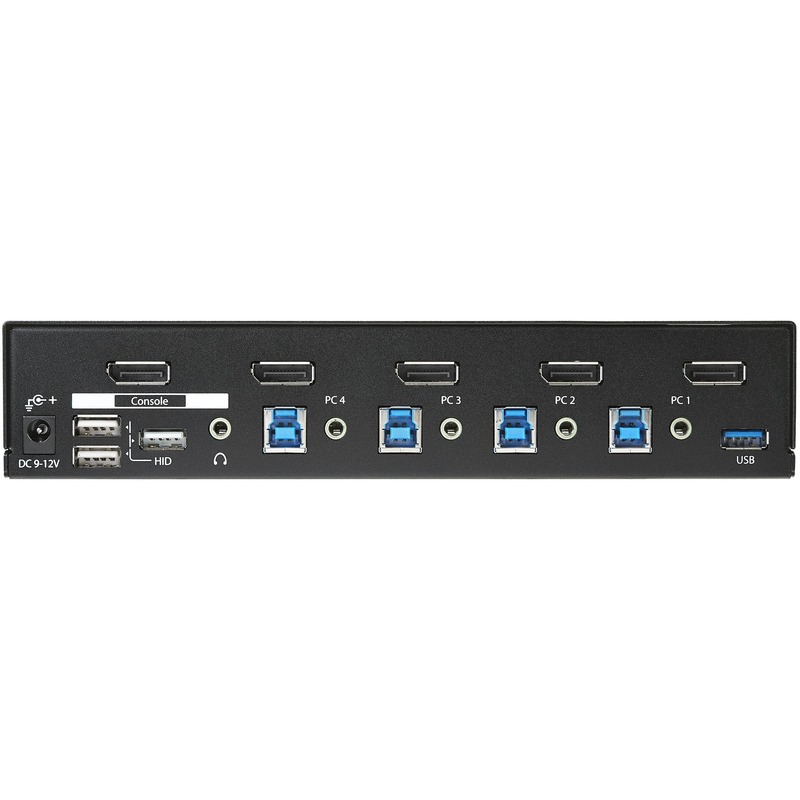 Control four DP computers using a single console with a built-in USB 3.0 hub for sharing additional peripheral devices. 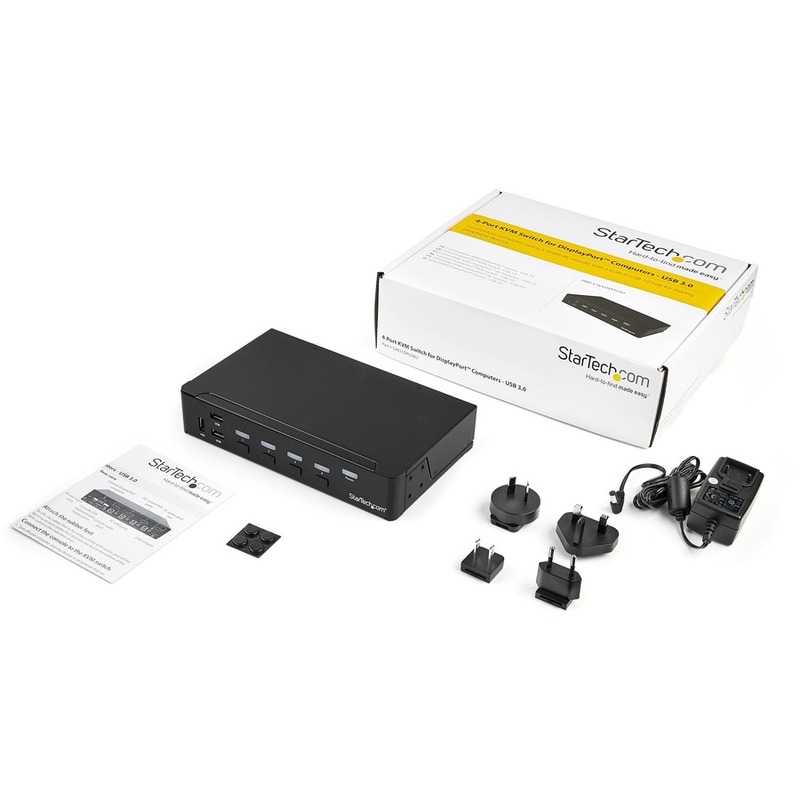 This 4-Port USB 3.0 DisplayPort KVM switch lets you control four DisplayPort (DP) computers with a single monitor, keyboard and mouse. 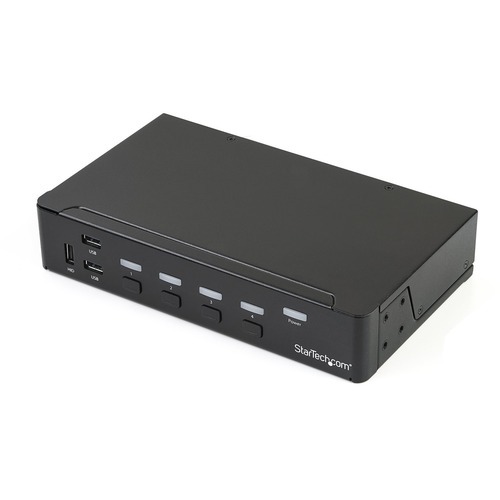 The KVM also features 3.5 mm audio and a built-in 3-port USB 3.0 hub.